The 2015 RAM Promaster is a full-size van with excellent features. It is a great vehicle for businesses to transport equipment in; if you are looking for a vehicle with a vast amount of storage space that is good on fuel, then this may be the vehicle for you. The 2015 RAM Promaster is also known to be affordable. It is a comfortable option for those who need to drive long distances. 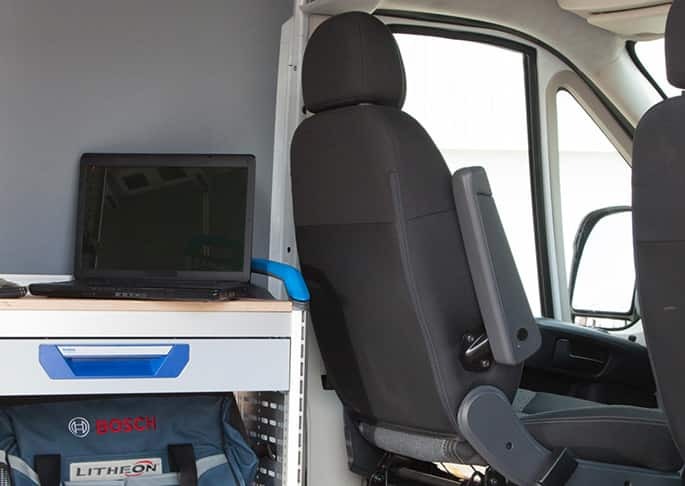 With available Uconnect and a 5,100 pound towing capacity, the 2015 RAM Promaster is the choice for many who need a vehicle for work but would like to stay connected technologically. The Powertrain has a V-6 and torque-laden I-4 EcoDiesel engine, great for saving gas and reducing environmental impact. Front-wheel drive ensures that the vehicle is able to do most any job. An owner may be able to go up to 18,500 miles without an oil change, lowering the cost of owning this van. The car possesses a six-speed automatic transmission, but a six-speed automated manual transmission is also available. The 2015 RAM Promaster is bound to handle the needs of customers who order in bulk. This is the vehicle to drive when you need space for cargo. It is easy to use a forklift to lift cargo into the van. The vehicle has sliding doors and a rear clamshell door to make for easy access to the cargo. Outside, the vehicle resembles a regular van, but it has RAM truck features in addition. A hexagon-shaped crosshair grille with the Ram's head logo is displayed on the front of the van. Two roof heights are available: 91 or 101 inches. 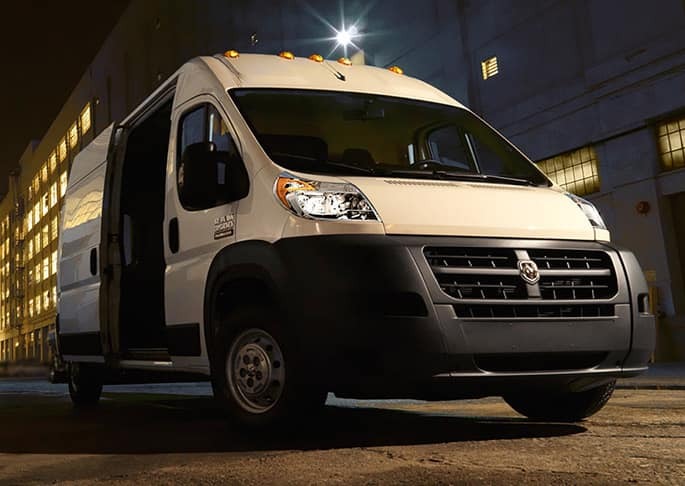 The 2015 RAM Promaster has 35 active and available safety and security features. The vehicle has trailer-sway control, and six standard airbags along with electronic stability control. A ParkView rear back-up camera and ParkSense Rear Park Assist help the driver with reversing and parking. The driver is notified by noise if an accident may happen through these features. If one is seeking a big van known for its ability to transport heavy objects and conserve fuel, then this may be the vehicle to purchase.